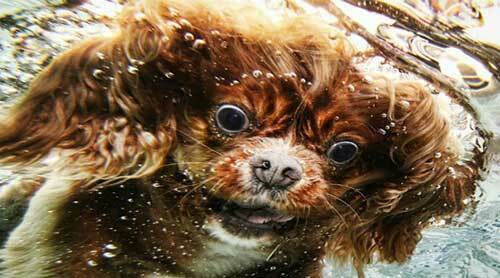 If there's anything better than a picture of a cute dog, it's a picture of a cute dog that's underwater! 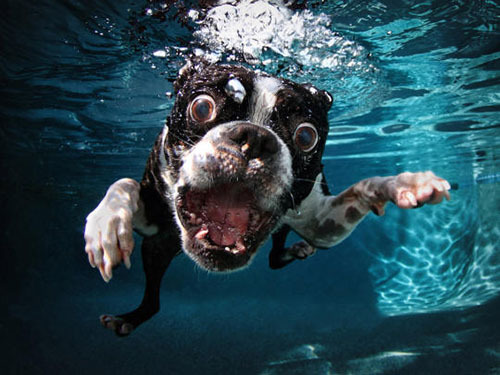 This book called, quite creatively, "Underwater Dogs", features pictures of dogs strictly underwater and the amazingly silly faces they make while fetching objects underwater while inside of a pool. 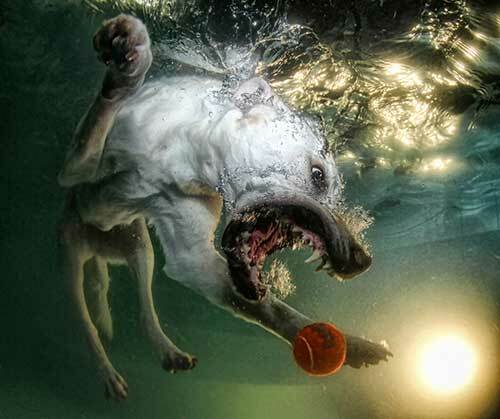 Underwater Dogs is a book by Seth Casteel that is... well, a book filled with pictures of dogs underwater. 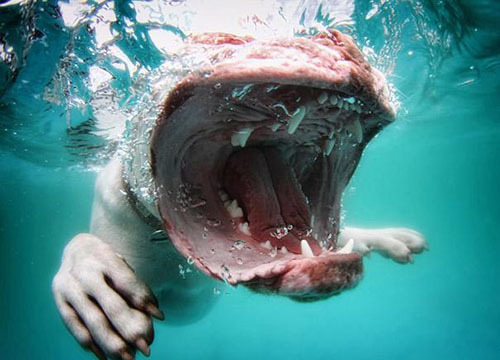 There is something quite poetic about taking a still picture of a dog underwater, with its floppy mouth and wide eyes, it's somewhat similar to a fat guy on a trampoline or getting smashed in the stomach with a canon ball. 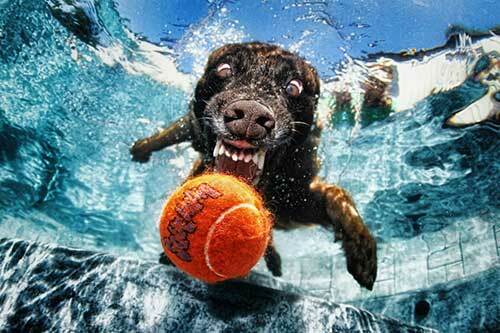 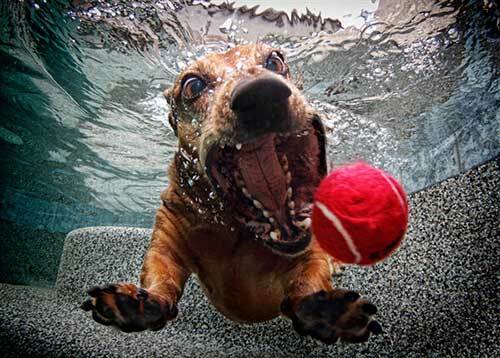 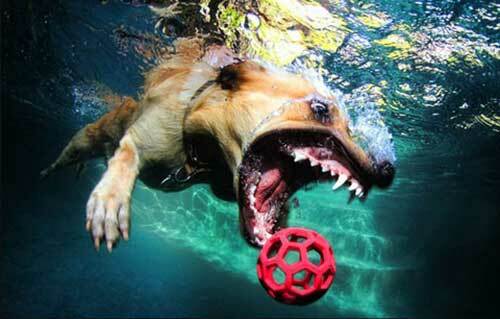 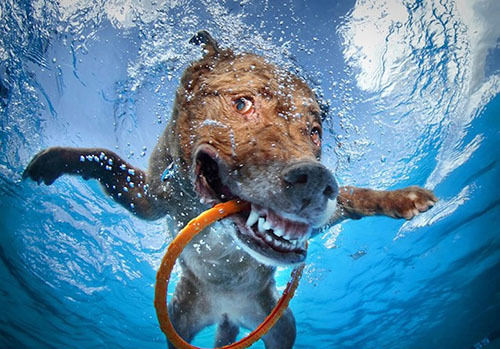 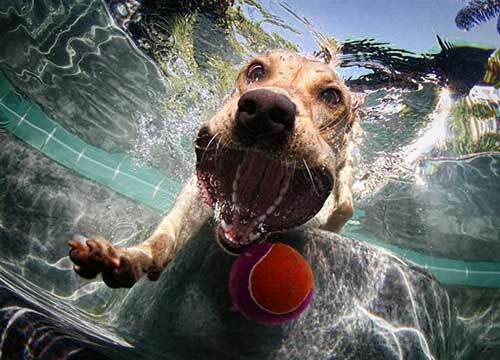 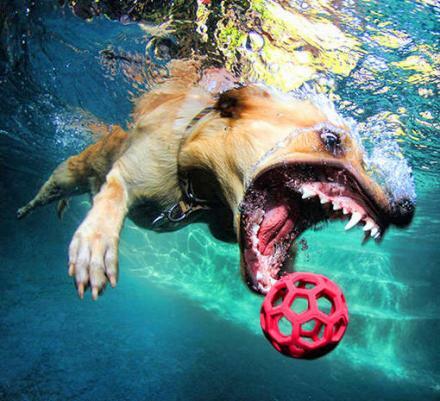 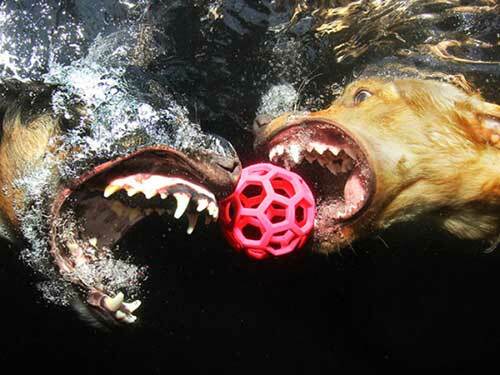 Whether they are chasing a ball, a ring, a toy, or your face, your dog will always look more awesome while underwater. 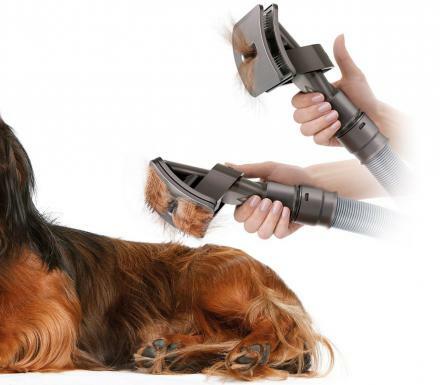 This book is sure to make an excellent addition to your coffee table, and makes a great gift idea for dog lovers! 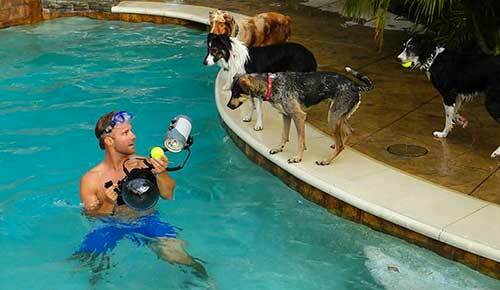 The underwater dogs book is a hardcover book that is 132 pages long. 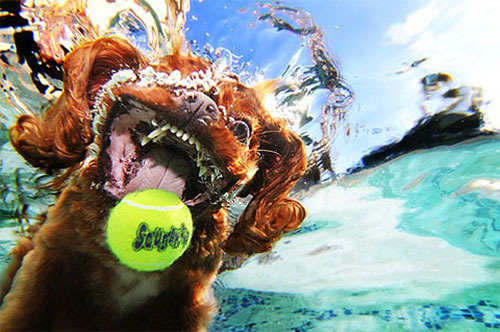 Plus there's also a version that features just pictures of puppies while underwater, that might just be even cuter and more awesome!